It used to be that a businessperson in Peru who wanted to explore the possibility of exporting to Korea had little choice but to fly across the Pacific Ocean to check out the market herself. There was little information available on whether there was demand in Korea for her products, and the 21-hour journey spanning 16,300 kilometers (10,100 miles) represented a costly and daunting effort: How could she find reliable clients who would pay on time, and how could she finance her shipments? Would her products pass Korea’s stringent quality standards? It’s no wonder that for many small and medium size companies (SMEs), conquering overseas markets is a distant dream. Even though Peru has had a free trade agreement with Korea since 2011, it’s up to businesses to find their own way into that competitive market. But where do they start? Some export promotion agencies in Latin America and the Caribbean take companies to overseas trade fairs. The Inter-American Development Bank (IDB) invites hundreds of firms to attend several major business networking events that it organizes annually throughout Latin America and the Caribbean (LAC), such as LAC Flavors, for food products exporters, and Outsource2LAC, for offshoring and outsourcing service providers. Recognizing the importance of the Asian market, each year the IDB stages a major business networking event in Asia, rotating the venue among three countries that are shareholders in the Bank: Japan, China and Korea. This year marks the 9th time the IDB has organized one of these gatherings, acting as a bridge to facilitate trade and investment between Asia and Latin America and the Caribbean. 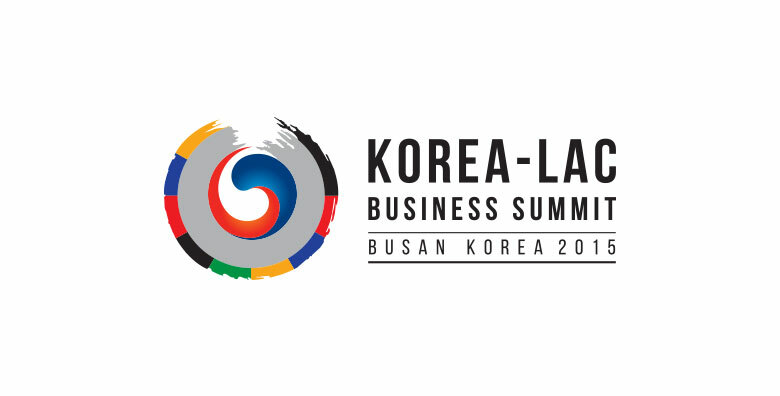 More than 500 businesspeople, export promotion agents and top government officials signed up to attend the Korea-LAC Business Summit, set for March 26-27 in Busan, Korea, just before the IDB’s Annual Meeting, taking place this year in the Korean peninsula’s main port city. During the two-day event, businesspeople from both regions get to examine opportunities for business in areas such as information technology, the environment and energy, among others. They learn about diverse trade-finance options available for small and medium size companies. But perhaps most importantly for many of the Latin American companies attending, the Korea-LAC Business Summit offers a full day of business matchmaking, featuring one-on-one appointments with Korean businesses set up for each attendee. In a large conference hall, hundreds of businesspeople go from table to table to meet with potential clients, suppliers or partners who have been identified by the organizers as likely matches. But companies that couldn’t make it to Busan needn’t despair: The kind of networking and market intelligence-gathering that attendees enjoy at events such as the Korea-LAC Business Summit can be replicated 24/7/365 through ConnectAmericas, the first social media network for businesses, created by the Inter-American Development Bank with help from its private-sector partners, DHL, VISA, Google and Alibaba.com. Since its inauguration a year ago as a free public service, ConnectAmericas has signed up 23,000 registered members from 56 countries, has 250,000 unregistered users, and has had 1.6 million page views. On any given day, 2,000 businesspeople visit the site in search of business contacts, market data, information on financing options, and e-learning options -- tools and practical information designed to simplify the process of doing business internationally. ConnectAmericas offers nine online courses (with more to be added) in Spanish, Portuguese and English, on subjects such as the Internationalization of Companies; Strategic Marketing; the Key to Successful Family Firms; How to Draft a Business Plan; the Revolution in Global Services; and others. The geographic, cultural and language barriers separating Korea from Latin America and the Caribbean are great, but they are not insurmountable. And by spending some time on ConnectAmericas, users can close what used to be a daunting information gap. They can learn of a variety of services aimed at helping companies from the region triumph in Korea: for example, that Korea’s International Cooperation Agency (KOICA) offers capacity-building, grants for project development and other technical assistance to facilitate trade and investment with Korea. The Korean Export-Import Bank provides financing for exporters to Korea. According to a new study published by the IDB especially for the Korea-LAC Business Summit and the IDB’s Annual Meeting, Korea and Latin America and the Caribbean: Striving for a more Diverse and Dynamic Relationship, trade between LAC and Korea has increased at an impressive 17% per year on average over the past 25 years. In 2014, total trade reached US$54 billion. Korea’s Foreign Direct Investment (FDI) in Latin America and the Caribbean has expanded ten-fold since 2004 and now totals $10.3 billion. And, fully 80% of Korea’s FDI is invested in the region’s manufacturing sector, which helps increase the value of our exports – and presents opportunities for local companies to become suppliers in sophisticated international supply chains. In short, opportunities for trade and investment between Korea and Latin America and the Caribbean abound. It’s just a matter of learning more about those opportunities, and setting out to establish business contacts and acquire the necessary skills to conquer distant markets. A good place to start is ConnectAmericas.